yarn spun from a mix of different-coloured fibres in given proportions, to achieve the required look in terms of colour. 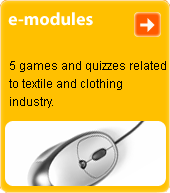 Mainly used in woollen fabrics. M. can also be achieved by use of a type of fibre which is immune to colouring; immunized fibes remain colourless when a ready fabric or knit is dyed in a single piece, giving the product the appearance of a m.